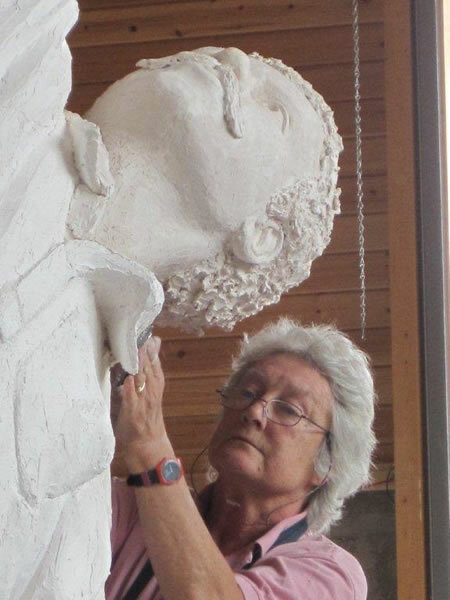 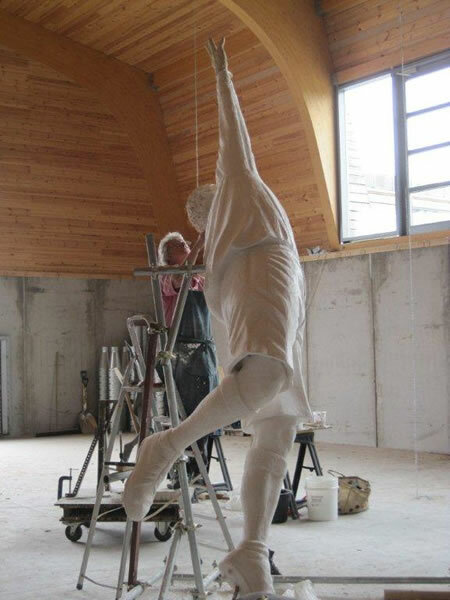 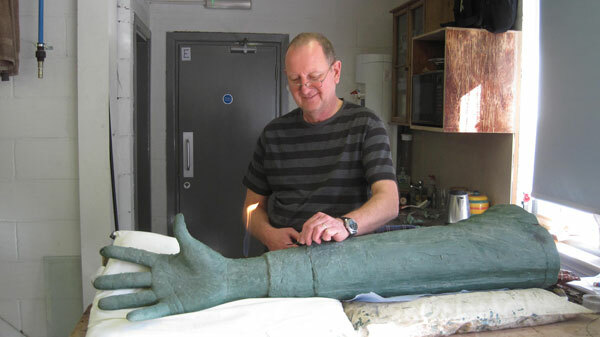 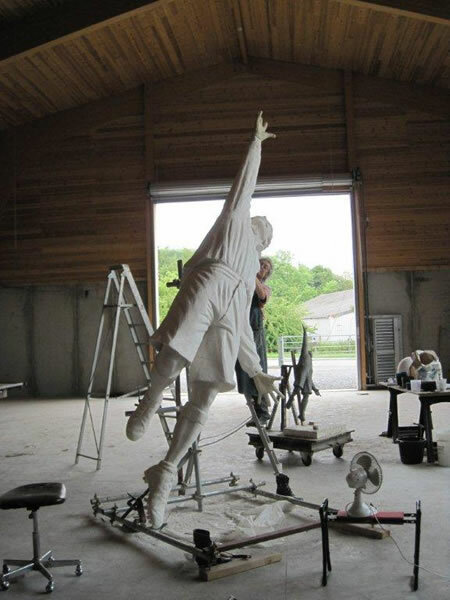 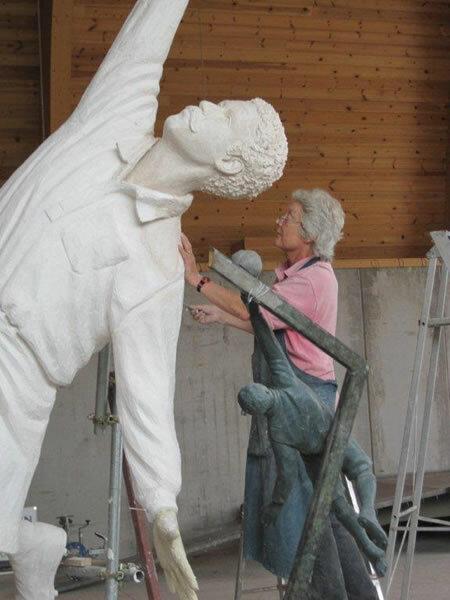 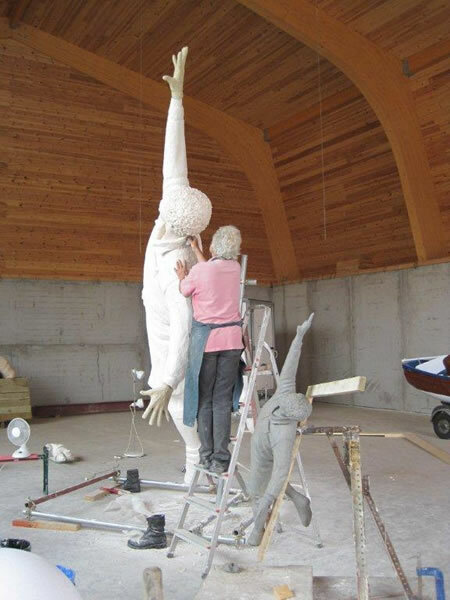 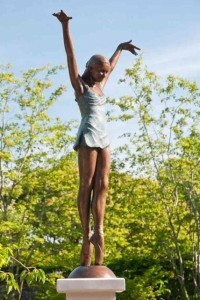 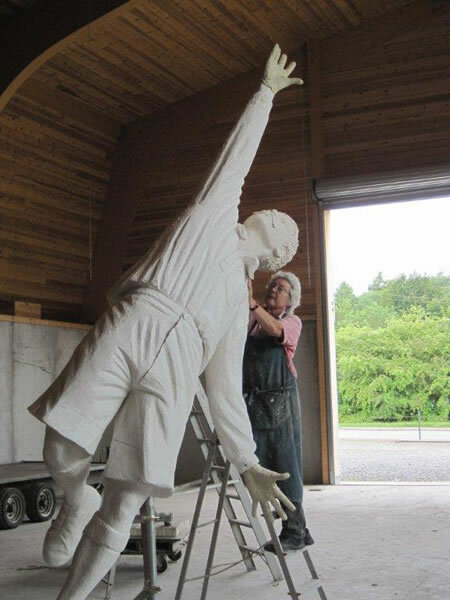 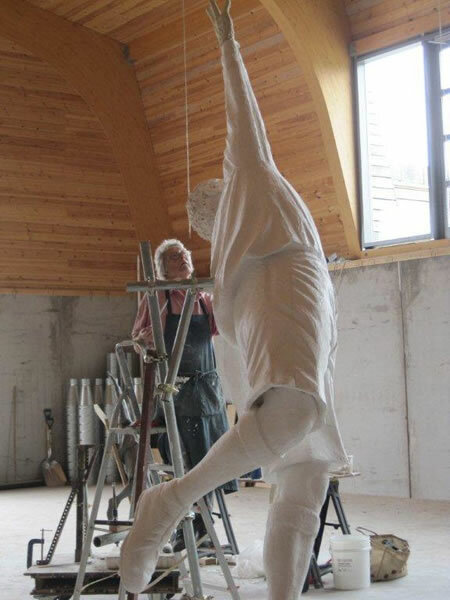 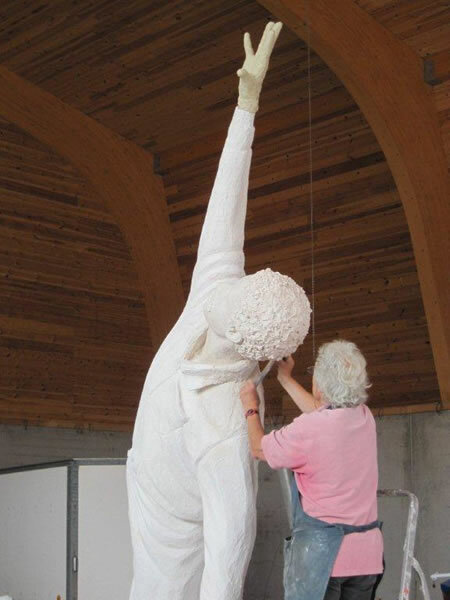 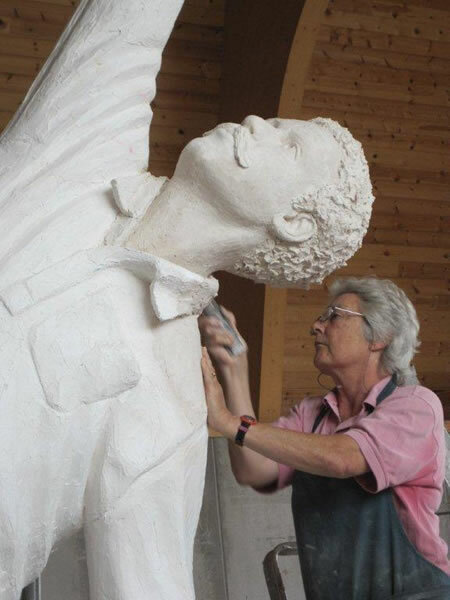 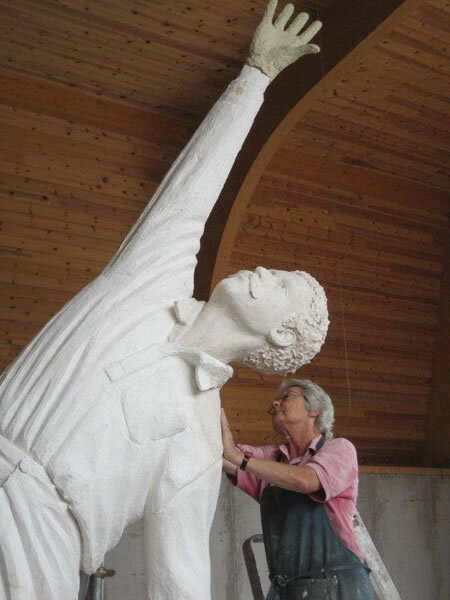 The Arthur Wharton Foundation commissioned Vivien Mallock to create a 1½ life size sculpture of Arthur Wharton – the first professional black football player in the world. 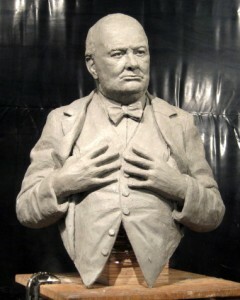 Wharton was an all round sportsman – in 1886 he set a world record of 10 seconds for a 100 yard sprint in the AAA championship, which remained unbeaten for thirty years. 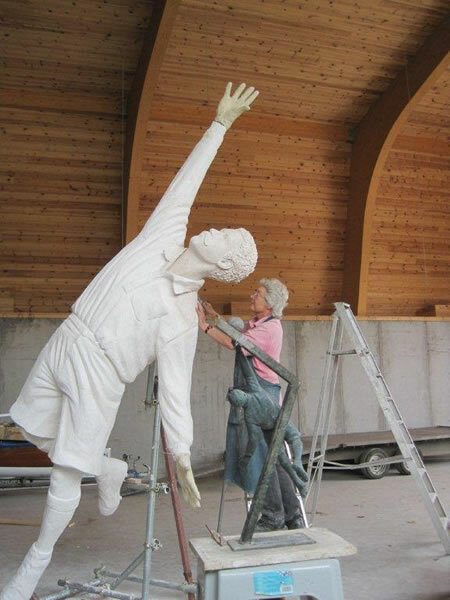 He was also a keen cyclist and cricketer, playing for local teams in Yorkshire and Lancashire. 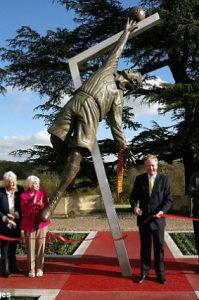 However he is best remembered for his exploits as a footballer, playing first for Darlington and then for Preston North End, who reached the FA Cup semi finals in 1886/7. 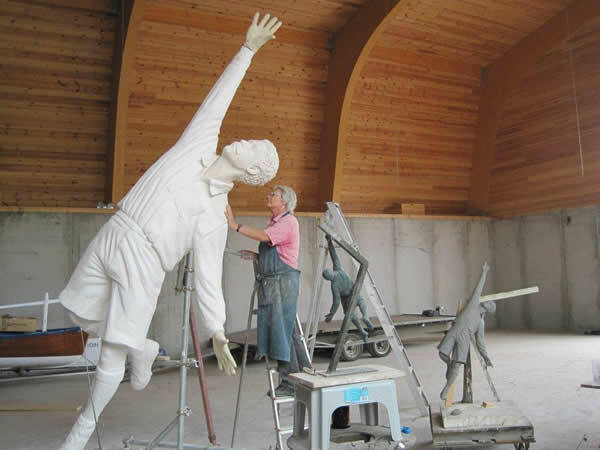 The sculpture shows Wharton playing in goal in 1886 and will be displayed in Darlington, home of his first team. 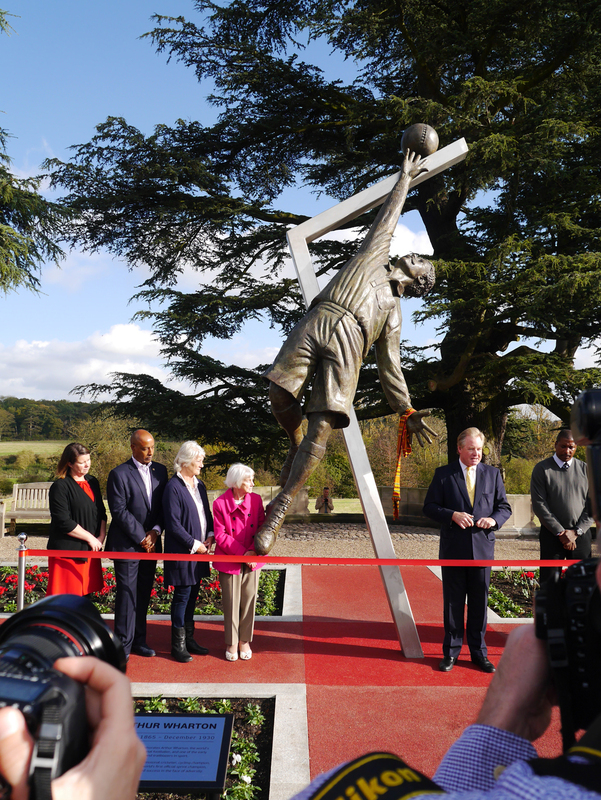 The Arthur Wharton bronze was unveiled at St George’s Park, Burton on Trent, October 2014.